Let’s be honest for a minute. We may not like to admit it, but many of us welcome change. And, I think a lot of times it’s just a result of sheer boredom. You walk into your kitchen each and every day. Hundreds of times a week. Thousands of times a year. Each and every time, your cabinets are just staring at you, looking the same as they always do. Hence, the urge for change, and we’re guilty as charged. So, when this feeling overtakes you, what do you do? Maybe you’ve heard of refacing your cabinets. Good idea? bad idea? No idea? Don’t worry, we’ve got answers to your questions and can help give your kitchen a makeover by refacing your cabinets. The best part? You don’t have to tear down and completely replace your cabinets so your wallet will be just as happy as you are! 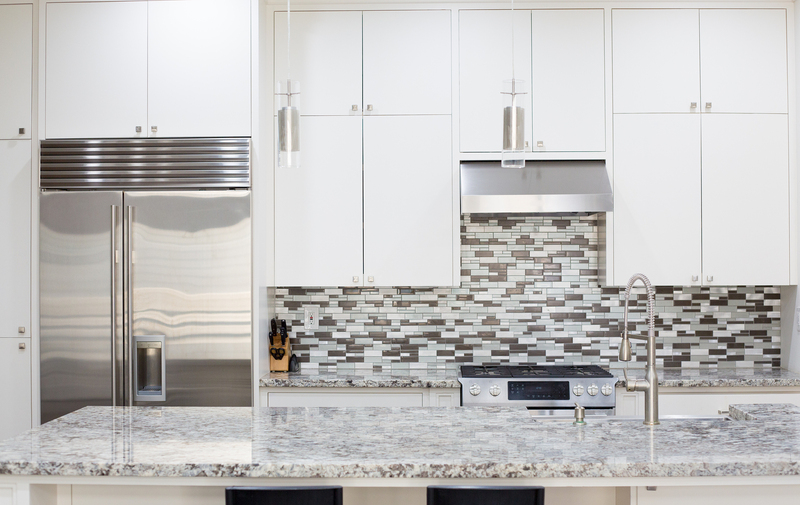 Refacing is a cost-efficient way to aesthetically improve the surface of your cabinets. By applying a thin veneer of wood or laminate, your kitchen will feel brand new! For the full effect, you can also add new hinges, handles, knobs, etc. Are Your Cabinets Good Candidates for Refacing? Do you want to change the look of your cabinets, but you’re unsure the best, most cost -efficient way to go about it? This is a pretty simple answer, and it all comes down to the “box” or interior of your cabinet. Is it still structurally sound? Is it free and clear of mold and erosion? If so, you’ve got all you need to jump into refacing your cabinets. You wouldn’t buy a new house just because it needed a fresh coat of paint, right? Of course not! Similarly, avoid tearing down your cabinets and simply upgrade them with a good surface fix. We’ve discussed several, but let’s put them all in one place before you start unhinging. If you’ve ever done any kind of home improvement project, you know it’s rarely as easy as it seems (what’s up IKEA furniture assembly), but we’ll try to break it down as simply as we can. Step 1: Remove all hardware, doors, knobs, etc. Veneering is a technical skill, so you may need a little professional help. Want to see what goes into the full process? Check out these wallet-friendly, step-by-step instructions from This Old House.